Hello. We had a rainy and windy weekend here, and I was able to escape the weather in my craft room. Sorry that this is my third post of the day, but some challenges are ending soon, so I need to post. 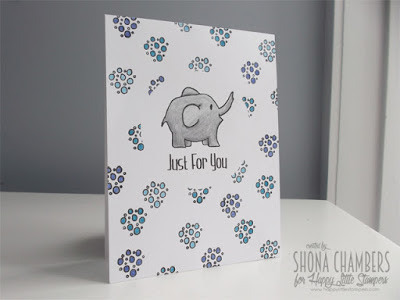 To start with, I have several cards I made with a new Simon Says Stamp die I recently bought. CASing myself (this card), I cut the die out of pure poppy paper and fussy cut a sentiment to pop up on top. 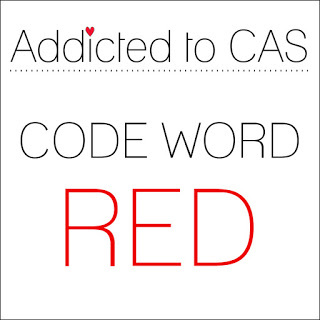 I am entering this card at Simon Says Monday Love is in the Air + Use Red and Addicted to CAS #80 Red. Next, I tried masking and sponging the different parts of the die and curving the sentiment around the side of the heart. 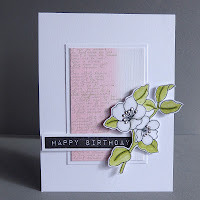 I was inspired by this card from Marybeth. I tilted the heart a bit to the right. I am entering this card at Addicted to Stamps and More #178 Holiday. 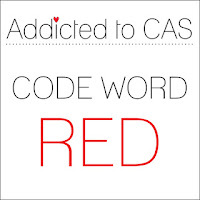 I made another version where I used Copics to color the die cut and also kept the heart straight up and down. 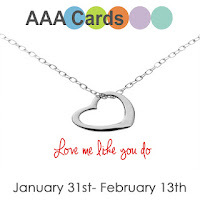 I am entering this card at AAA Cards #57 Love. Here they are side by side. Do you have a preference? 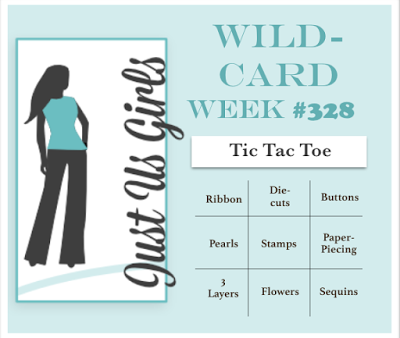 This week's Muse #150 card is so pretty, and I am glad I had time to play along. I was inspired by Jenni's design, the flower, the sentiment in white on black and the background text and sponging. I used an image from Technique Tuesday, fussy cut and colored with color pencils. My center panel is die cut, embossed with a text impression plate, sponged with Distress Iced Spruce ink and then inlaid into the card front. 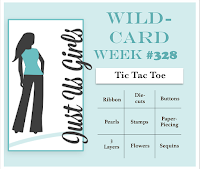 I am also entering this card at Just Us Girls #328 Wildcard Week, and I am using the middle column (die cuts; stamps; flowers). 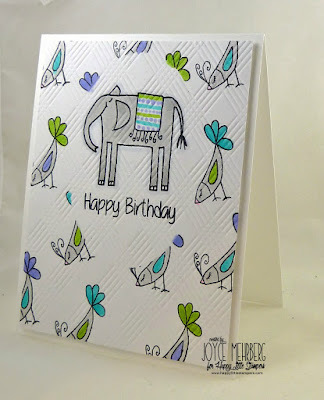 My next card is inspired by the sketch at Freshly Made Sketches #221. I used the Stitched Die cover plate and Graceful Greetings, both from PTI. 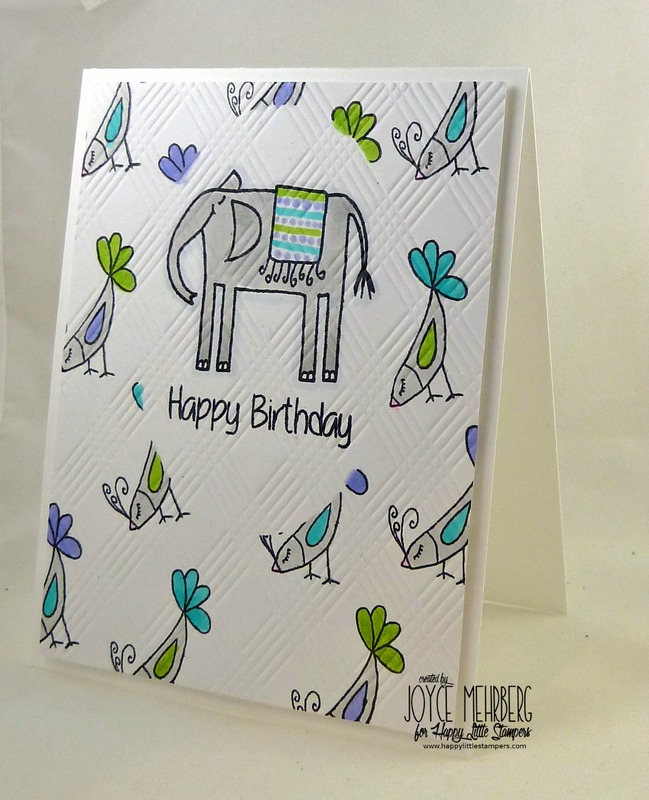 My next card is also inspired by a sketch, this one from CAS Colours & Sketches #158. 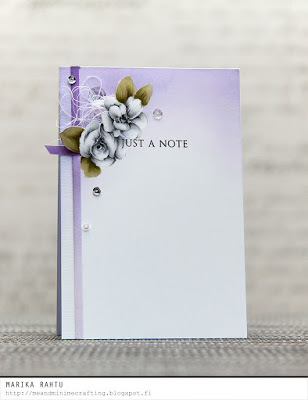 I used some ombre paper and the Butterfly Cover plate die from PTI. My sentiment is from PTI Beautiful Butterflies. I would also like to thank the team at CAS Colours & Sketches for selecting this card of mine as one of the winners for their challenge #155. I used the remainder of the ombre paper to make another butterfly card--this time not adhering the die cut at an angle. Jennifer McGuire is hosting a card drive to comfort mothers who have lost a child. I will be sending all of these cards (except the two Valentines) to her for this drive. You might have noticed that all the sentiments are appropriate for someone in need of comfort. 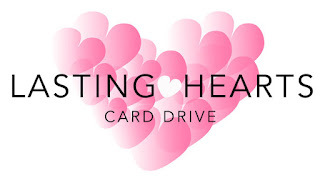 This card drive is going on through the end of February, so you have plenty of time if you would like to participate as well. 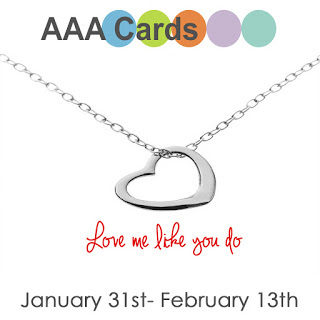 Hello and happy February. 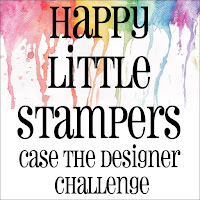 I'm here to post a card for Happy Little Stampers Case the Designer challenge. 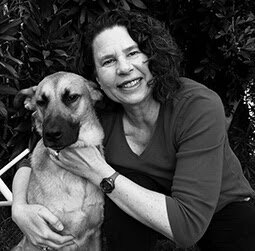 This month, our inspiration is provided by the very talented Shona Chambers. Just take a look at the beautiful card Shona made to inspire us. I was inspired by Shona's fun and colorful background and how she masked off her central focal point. I also loved her elephant, and was lucky enough to have my own elephant stamp. I used Copic markers to color in my focal point as well as my background images. After I was done masking, stamping and coloring, I added some texture to my card front with the Picnic Plaid Impression Plate from PTI. Our challenge will run for the entire month of February. I hope you will play along. 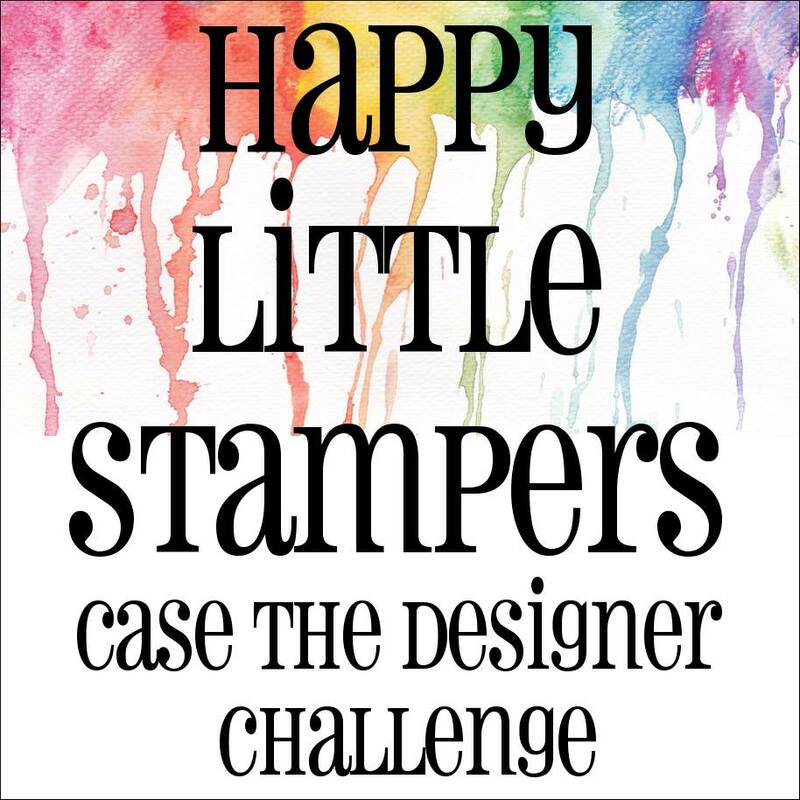 Please head over to the Happy Little Stampers Case the Designers blog to see more inspiration from the rest of the design team. 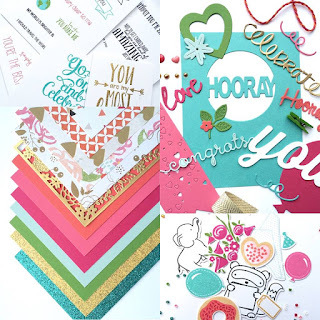 It's time for our January 12 Kits of Occasions post. This month, Lindsey is our hostess again, and she sent a wonderful and enormous kit, filled with cute, fun and elegant supplies. Her theme is Celebrating You, and I had so much fun playing with everything in the kit. Of course, I have lots of leftovers as well. I can't wait to see what everyone else did with their supplies so I can CASE them with my leftovers. I made 6 cards before running out of time. I'll get right to it. Lindsey sent quite a few adorable critters, and I had fun playing with some of them. 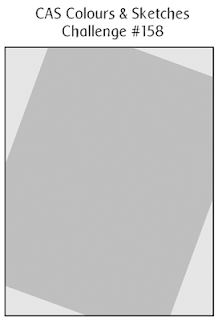 Lindsey also included elements for some more elegant cards. So much pretty gold and glitter. I used so many of the elements in this kit, but still have so much left over. Thanks so much, Lindsey, for sending such a wonderful kit. Hello. 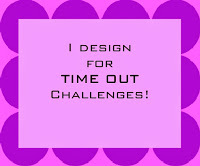 There is still time to play along with our challenge at Time Out. This week, our challenge is a CASE challenge, and we have this gorgeous card from Marika to inspire us. I pulled out another floral set from Altenew (can you tell what I am crushing on these days?) 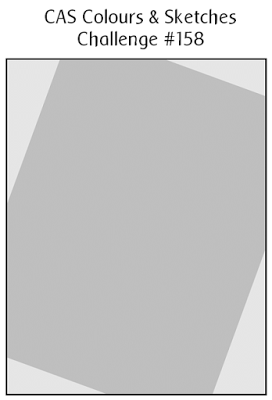 to create my card. This time, I took my inspiration from the flowers, the purple color and the sponged background, but changed the layout a bit. I colored the flowers with Copics--my attempt at shading.